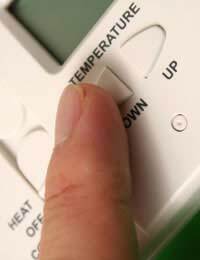 Home > Electricity > Is it Worth Changing Your Heating? With utility charges of all kind going through the roof over the last few years, households throughout the UK are looking at many ways of lowering their costs. Heating is one of the major bills most of us face, but whether changing the heating system will ultimately lower bills is part financial analysis and part betting. Up until about a decade ago it was generally considered that electric heating was more expensive to run than gas central heating, and oil or liquid petroleum gas (LPG) fuelled systems were at the top of the heap. Solid fuels had largely fallen out of favour because of the inconvenience and the smell. But a number of things have changed those views in recent times. The first is that the gap between gas and electricity has closed. This is in part caused by the amalgamation of gas and electricity companies post-privatisation, meaning that it is in each company's interest to make both gas and electricity appear the same price. A major aspect to consider is that when people used to bandy about this price difference, they were usually only taking running costs into account. The installation of gas central heating is much more expensive than electric storage radiators and heaters, which are still being installed in developments such as blocks of flats and studio apartments. The ease of electrical heating installations really comes into play when building smaller, dense housing units. If you go for gas central heating or underfloor heating, you have to have a boiler, control unit and piping for every studio or flat. It all must then be checked out by a qualified gas fitter, too. With electric storage or fan heaters, all you need to do is mount the heaters on the wall and run cables back to the electrical panel. They have to be on a separate heavy duty circuit, and you might need a second meter for the cheaper overnight electricity to heat up storage radiators. But it's still not a great deal more taxing than installing lighting. There are electronic dual-tariff meters available now, so even the cost of the second meter has been taken out of the equation. Finally, we’ve not touched on the other aspect of changing heating and that's convenience. Although this article is all about reducing utility charges, there's no doubt that electric storage radiators are fundamentally flawed when it comes to heating a property. They heat up over night and release the stored heat throughout the day. Great, but if you work during the day it's in those winter evenings that you need the heat. Granted the radiators will still be hot, and the property will have stored some of the heat that has been delivered during the day. But if you have a long commute and don't get home until the early evening, you might find that by the time you've had something to eat and done a few chores, it's no longer warm enough to feel comfortable. If that's the case then you're going to start putting on auxiliary heaters like electric radiators and fan heaters, or even bottled gas heater and open fires. So that's all going to cost you more as well. Like many aspects of reducing utility charges, there are many different factors to consider and the right answer depends on the type of property and the way it's used. But it's unlikely that the extra cost of changing your heating from gas central heating to electric, or the other way around, will deliver a return on the investment of switching. Or if even if you will see payback, it will take a very long time. And a switch in global politics or economics could blow your calculations away overnight. So if you are considering changing your heating system, only do it because it will improve your life or your property, and preferably if you are doing a lot of renovation work at the same time, to minimise disruption. To make this change on the grounds of reducing utility charges alone is a gamble that would be unlikely to pay off. Make sure you're getting the best deal on your gas and electricity by doing a Uswitch comparison.